The final webinar of the series, led by Dr. Eric Thompson, will be the “Nebraska Economic Forecast,” which examines the 2018 to 2020 forecast for the Nebraska economy as developed by the BBR. The Bureau of Business Research (BBR) at the University of Nebraska–Lincoln announced its spring series featuring four webinars that are free and open to the public. Economics faculty and student researchers will lead the discussions. Attendees can register for any of the webinars at http://bbr.unl.edu. Topics in the series include climate impacts on water quality and cattle, annual business indicators for the Lincoln area and the economic forecast for the state of Nebraska. The April 20 webinar focuses on the research output of the 2017-18 BBR Scholars, a group of select undergraduate students who conduct original economic research. Their research this year included forecasting local real estate markets, examining factors that influence transitions from unemployment to employment, and more. “The undergraduate scholars receive advanced training in economics research methods and apply what they learn in an intensive research experience. Their research projects are poised for publication as a Business in Nebraska report, sharing their analysis on relevant topics to the benefit of Nebraskans,” said Dr. David Rosenbaum, associate director of the BBR and professor of economics. Friday, March 30: Dr. Thompson and Dr. Rosenbaum will present “Climate Impacts on Water Quality and Cattle.” Research focuses on the impact that climate change may have on cattle feeding and on incentives to co-locate cattle feeding operations with ethanol plants. Friday, April 20: Dr. Mitchel Herian, senior research associate, will lead the “Bureau Scholars Research Results” webinar, which will summarize the undergraduate student research findings from the BBR Scholars. Research will be presented on the sources of metropolitan growth in information technology and other high wage service industries, factors that influence transitions from unemployment to employment and housing price forecasts for Nebraska communities. Thursday, May 18: In “The Annual Business Indicators for the Lincoln Area” webinar, Dr. Thompson will summarize an annual report on the Lincoln economy, which the bureau develops for the Lincoln Partnership for Economic Development. The presentation will track progress in the Lincoln economy over the last year and the 2007 to 2017 period in key indicators such as gross domestic product, labor force, employment, housing, taxable sales and retail capture. 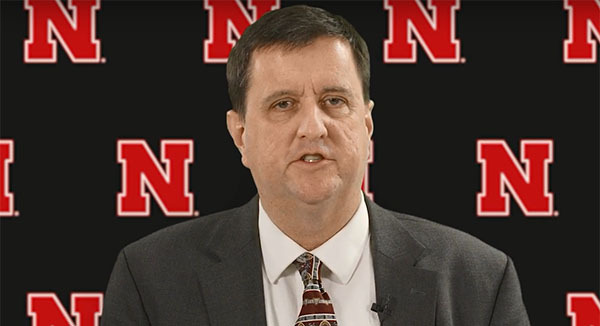 Friday, June 8: Led by Dr. Thompson, the final webinar will be the “Nebraska Economic Forecast,” which examines the 2018 to 2020 forecast for the Nebraska economy as developed by the BBR and Nebraska Business Forecast Council. The forecast examines the employment outlook for key industries such as construction, manufacturing and services, as well as projections for the agricultural sector. The forecast further examines the outlook for income by source, and the sales and income tax base. The webinar series is one of the bureau’s numerous outreach efforts to help people understand research relevant to businesses and households across the state. The BBR is housed in the Department of Economics in the College of Business. To learn more and sign up for these webinars, visit: http://bbr.unl.edu.